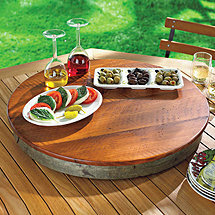 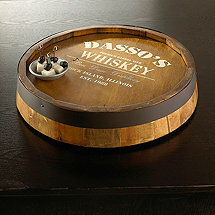 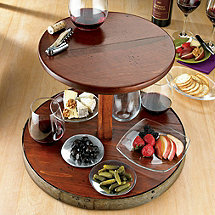 Reclaimed wine barrels and corks are repurposed for serving and entertaining. 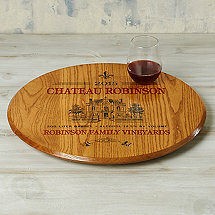 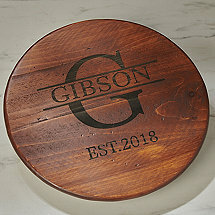 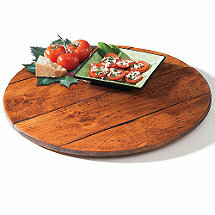 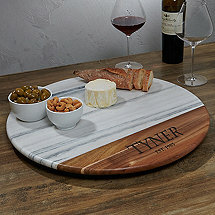 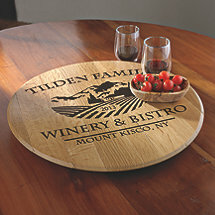 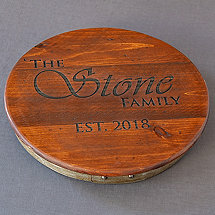 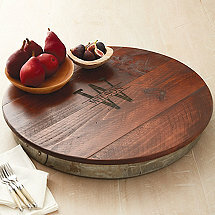 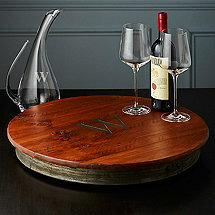 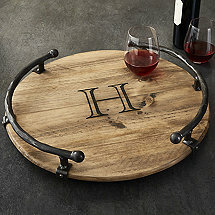 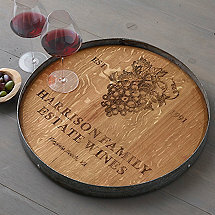 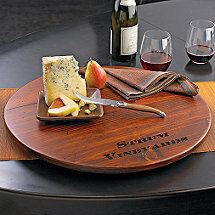 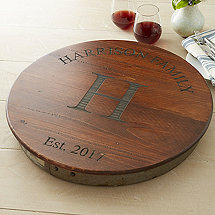 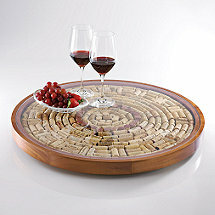 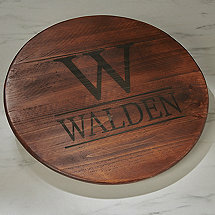 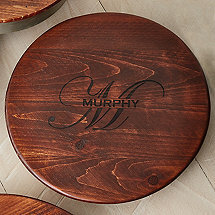 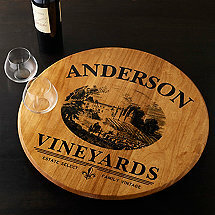 Whether made of aged barrels or kits that use corks from favorite wines, these Lazy Susan trays make great conversation pieces, and look beautiful turning on your table. 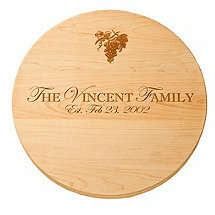 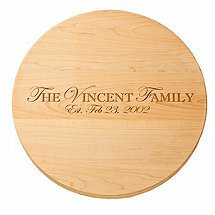 No more asking to “pass the salt” whether personalized, two-tier, or decorated with a French chateau.